The biomedicine, innovative medical technology and health ecosystem in Catalonia is maturing and there are more and more companies that experience the full business cycle through to success. Licensing deals, selling the company or commercialising the product in different markets are the main paths to this promised land. Palobiofarma, STAT-Dx and NEOS Surgery are good examples. 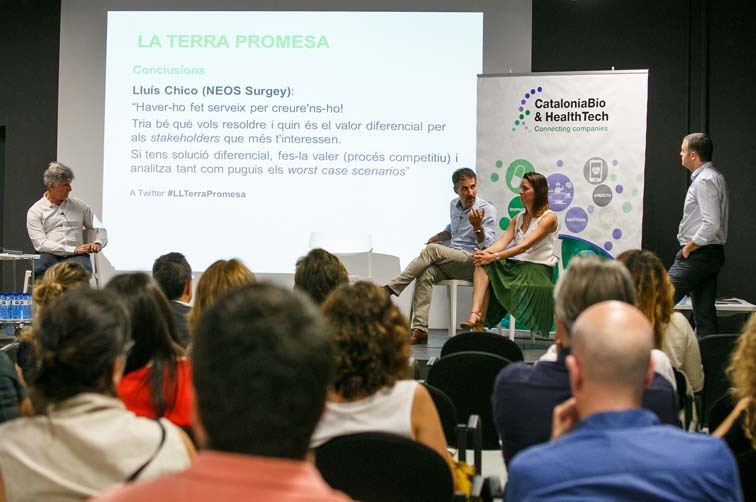 CataloniaBio & HealthTech invited their founders and general managers to the Lessons Learned debate forum, on 4 July at the Barcelona Science Park (PCB) to share their experiences and the lessons they&apos;ve learned with new start-ups and spin-offs. The session, which filled the room with entrepreneurs and executives, was moderated by Judit Anido, general manager of Mosaic Biomedicals and CataloniaBio & HealthTech board member. 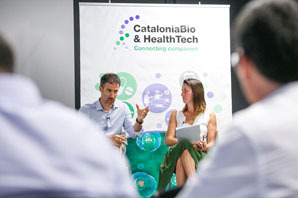 "Over the past 10 years, the Catalan healthtech and biotech sector has grown and matured, despite having undergone an extreme financial crisis. 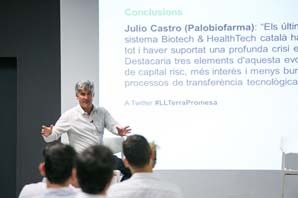 I would highlight three elements of this evolution: more venture capital funds for private funding, more interest and less bureaucracy in technology transfer processes, and success stories," explained Julio Castro, CEO of Palobiofarma. Palobiofarma signed a licensing deal with Novartis in 2015 for its drug PBF-509, which could contribute to a less invasive treatment for lung cancer than current chemotherapy.  This was the strategy from day one of this biotechnology firm based at Tecnocampus Mataró. "The founders came from the pharmaceutical sector. Early licensing made sense to us," explained Castro. "Licensing addresses the CEO&apos;s main concern: funding. It was good for us to have a sufficiently mature product in an attractive area like oncology," he added. Throughout the debate, the speakers agreed that it is important to incorporate buyback clauses in these deals because "if the pharmaceutical corporation discards the project for strategic, not scientific reasons, you can continue moving forward. The product has gained value." 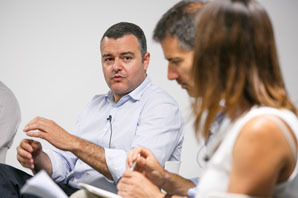 "When we were little, our idea was to have a family-run company, but in the field of molecular diagnostics we soon saw that we needed a lot of money and that the future lay in selling STAT-Dx," explained sincerely Jordi Carrera, co-founder of STAT-Dx and current vice-president of the QIAstat – Qiagen programme. "We&apos;ve always tried to have as much funding as possible to work with the best professionals, but that dilutes the founding team compared to investors." The premise is clear: “It’s all about people and teams.” And in this regard, he also highlighted that whenever he has negotiated with large funds like Ysios Capital or Siemens Venture Capital, "you&apos;re always dealing with a person." The Dutch group Qiagen acquired STAT-Dx, located at the PCB and inventor of DiagCORE®, early this year for roughly €154 million. DiagCORE® is a technology for decentralising immunoassay diagnostic and molecular diagnostic tests quickly and precisely. Carrera recommends "generating expectations at the right moment. Strategy and tactics. Balance of effort and pace. We heard about Qiagen just two years ago." "Using is believing!" said Lluís Chico, managing partner at NEOS Surgery. Chico was the first employee of NEOS Surgery, based at Parc Tecnològic del Vallès (Eurecat). In 2007, after the main founder suddenly stepped down, he became the main driving force of the re-founding, practically from scratch. One of the milestones they have achieved in recent years has been marketing the medical device Cranial LOOP® internationally. The company has based its strategy on presenting the product at key international congresses and finding the best exclusive distributor for each territory, for example in the United States. In choosing the country, you have to take three important factors into account: business opportunity, regulatory hurdles and the market’s visibility. Chico also recommends "Choosing wisely what you want to target and its differential value for the stakeholders you value most. If you have a differential solution, make it matter (competitive process) and cover your back as much as possible for worst-case scenarios." The business models and decisions these three global companies have had to make in different moments have conditioned their strategies, and today they are success stories in the sector to mirror. The Lessons Learned sessions, which kicked off in 2014 promoted by CataloniaBio & HealthTech, are a knowledge forum for professionals in thehealth, biomedicine and innovative medical technology arena to shareexperiences and reflections with experts on various strategic areas to boostthe competitiveness of companies. The Lessons Learned sessions are also agreat opportunity for networking. Check Agenda of the website.